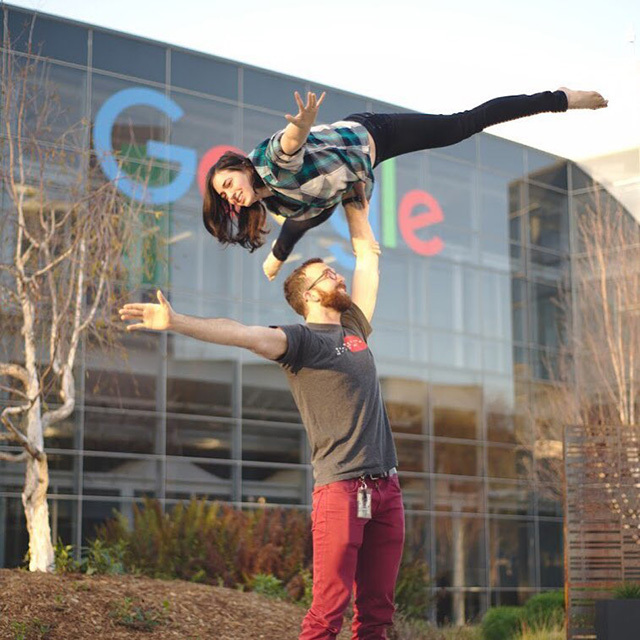 I've seen many photos of Nooglers, new Googlers, joining Google on their first day but this is the first time I saw an aerial yoga pose to celebrate ones first day. Ida Mayer posted a photo on Instagram celebrating her first day at Google. She wrote "It's my first day of my new career as a @Google UXE. After rounding off the weekend at @acrosf. I'm excited to be gaining new skills in all aspects of my life. Crocs at the office seem like a #worklifebalance?"